The Hunger Games, the best selling young-adult adventure science fiction trilogy series is now coming to a theater near you! 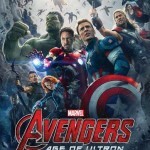 It is set to be one of the best movies of 2012! We are so excited about the movie coming out THIS Friday, that we don’t want you to be left out! 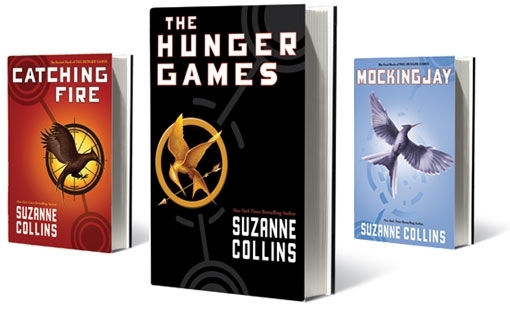 We are excited to be giving away The Hunger Games Trilogy – we are letting you pick how you would like to receive them! It’s YOUR CHOICE whether you want to own all 3 books in hardback or on your Kindle or Nook! 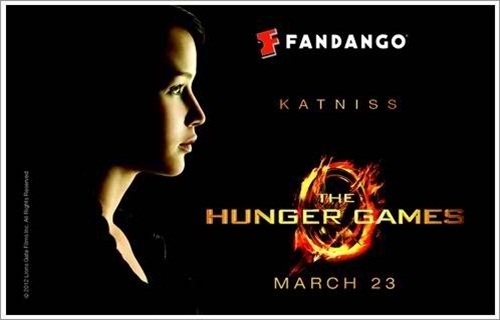 We also want you to be able to see The Hunger Games in theaters, so we are giving away a $25 Fandango Gift Card! Enter the Rafflecopter form below! Hurry! This giveaway ends April 2nd! Have to go with Katniss!! Katniss is my favorite character. don’t know… i haven’t read them yet! I haven’t got to read it yet! I saw the trailer and have been really wanting to go check it out from the library. 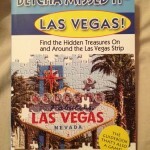 My husband wants to read it too, I would so love to win! I don’t know as I haven’t read them yet! Katniss for sure! but I also kind of like Haymitch, lol. I haven’t read them yet which is why I need to win! 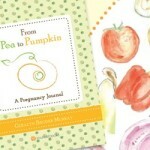 I’ve heard so much about these books, and would love to win them. So I haven’t read them yet to have a favorite character. My favorite is Gale Hawthorne. Thanks. Without a doubt its true that this particular film is the best discussed movie of this year and the most anticipated movie too, one can only imagine the star-power of this film and the intense plot of this story that has surely obtained the focus of the media and the people as well. Once more, this video has created a lot of buzz just like the book which has the same title as the movie has. Finnick is my favorite character!! Katinss would be the obvious choice, followed by Peeta or Gale. How about Katniss’s mom?!?! Could you imagine being in her shoes??? I actually haven’t read them yet but I’m very interested in doing so 🙂 Thus why I’m entering!!!! I haven’t read the books yet, but am dying to. Here’s hoping that I win! My 11 year old son read the books and loves Katniss. I am reading Hunger Games right now and hope to be finished before the movie tomorrow afternoon and so far I love Katniss too. Can’t wait to read the rest of the series! I do not have a favorite character yet. I have not read the books or seen the movie. My favorite character from THG is Katniss, but Rue is a close second. Thanks for the opportunity. I don’t yet have a favorite because I haven’t read these yet. I hope I win!!!!!!!!!!! !